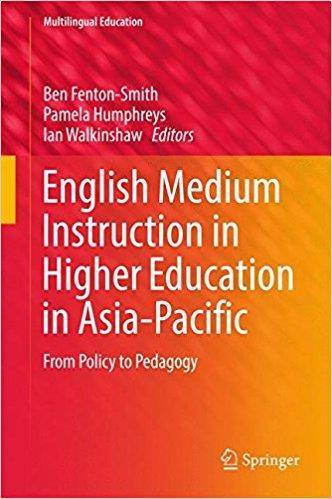 This volume draws together the viewpoints and research findings of leading scholars and informed local practitioner-researchers throughout Asia-Pacific about the issues and challenges of English as a medium of instruction (EMI) at higher education institutions in that region. Specifically, it addresses four key themes: Macro-level EMI policy and practice; institutional implications for pedagogy; stakeholder perceptions of EMI; and challenges of interpersonal interaction in EMI contexts. 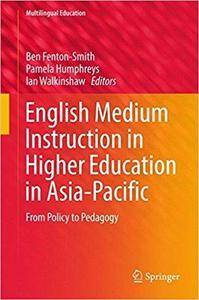 The book is among the first to critically examine the emerging global phenomenon of English as a medium of instruction, and the first title to exclusively explore Asia-Pacific tertiary contexts. It will be of particular interest to policy-makers in international education and tertiary educators seeking blueprints for practice, as well as scholars and postgraduate students of English as a lingua franca, English for academic purposes, academic language and learning, and language education in Asia-Pacific.